A university called Chapman U organizes a program called Furry Friends for Finals in which students can pet one of 10 puppies that are stationed outside the library the week before exams as a means to de-stress. Petting and playing with puppies has shown to increase levels of "feel-good" hormones serotonin and dopamine, which can help reduce stress levels and help improve memory and concentration. Dog domestication began approximately 15,000 years ago, according to fossil records. By living with humans, dogs benefited from our up-right gait, color vision and use of tools, which ensured that they had readily-available food. 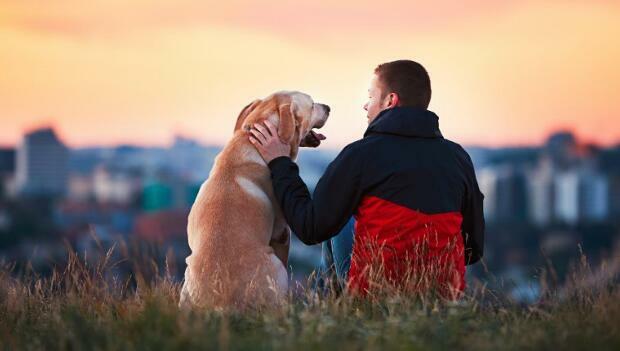 Humans benefited from the protection, warmth, sense of smell and acute hearing that came with dog companionship. Here are some modern-day reasons why living among our furry, canine friends may be healthier than switching to gluten-free bread. 1. Dogs can improve physical fitness. A University of Missouri study found that walking with a puppy leads to a 28 percent increase in walking speed, compared to only a 4 percent increase when walking with a human buddy. Dog-owning families often promote physical activity within the household, shows a study from the University of Virginia, which found that teens from dog-owning families are more physically active than teens whose families don't own a pet dog. With rising rates of childhood obesity, owning a dog might give kids incentive to get out of the house and spend more time outside, leading to better fitness levels—thereby lowering the incidence of disease—later in life. 2. Dogs can help prevent chronic disease. Dog owners who walk their dogs regularly have one-third the risk of diabetes than those who don't own a dog, according to exercise scientist, Cindy Lentino. This statistic highlights the importance of maintaining physical activity levels and controlling stress levels as a means of preventing the occurrence of type II diabetes, rather than just a focusing on diet as the sole root cause. Dogs prevent autoimmune disease and allergies in children. Researchers at the University of Cinncinati College of Medicine found that children from families with a history of allergies are less likely to develop eczema and asthma (atopy) if they grow up with a pet dog starting at birth. If we consider that animals are typically "dirtier" than humans, this research fits with the Hygiene Hypothesis, which states that the more dirt kids are exposed to, the less likely they are to suffer from autoimmune diseases and allergies in childhood.